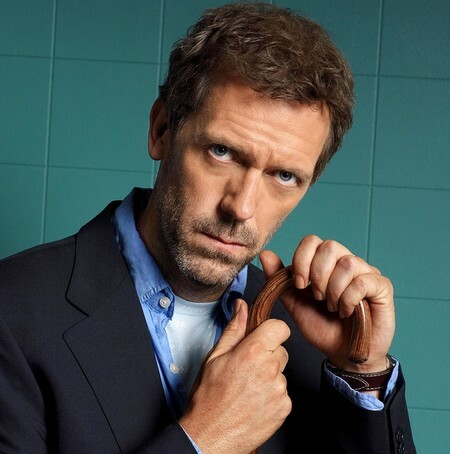 “House” fanatics need no introduction to Gregory House, MD. He is the misunderstood genius of Diagnostic Medicine at Princeton-Plainsboro Teaching Hospital. Dr. House is played by Englishman Hugh Laurie, who was a member of the Cambridge University Footlights along with Stephen Fry, John Cleese, and Rowan Atkinson (MA). In this famous medical drama, Dr. House plays a doctor who bends medical rules to get at his goals. As a result he often goes at loggerheads with his team. House’s character was inspired by Sherlock Holms and Perry Cox. According to the soap’s storyline, Dr. House had a serious leg infection that called for immediate amputation. He could not move his leg and apparently the muscle stopped working. His wife thought it best that Dr House might as well be put in a coma so the doctors could cut his leg off. Dr House refused to undergo the whole thing, saying he’d rather die. So he was drugged and while unconscious, his attorney allowed surgery on his leg. A chunk of tissue and muscles were cut out. It left Dr House 50% chance of survival, so the story went. But he came out of it alive with a limp. However subtle, there story suggests that Dr House is hooked on vicodin. He takes this to ease the pain coming from his legs. This is a direct allusion to Sherlock Holmes’ character, which was also hooked on cocaine. House is a person who has sharp wit and loves picking on others. You can say he’s a killjoy because he derives fun from the weakness of others. Because of this temperament he’s good at dealing with pathological cases—he can unlock people’s deep motives. While many doctors think themselves as the Great Savior, House sees himself as the Great Problem Solver. It takes him a long to time to decide what to do because he is very deliberate in puzzling out the patient’s condition. House is not well liked for his manners—for one thing he doesn’t go by the book. While he appears to not completely understand what’s going on, he comes up with the fastest treatment. You probably remember that episode in which he diagnosed a room full of patients in less than a minute! House is difficult to pin down—he’s moody, volatile, and antagonistic. Hugh Laurie is no stranger to Stanislavskian acting. He was a stage actor for some time and he can well relate to the character he plays in “House.” Laurie says that “House” is an out of the box character. He is a skeptic by nature (he professes to be an atheist) and he is on the lookout for a novel way of treating diseases. “House” executive Katie Jacob has a different take on the character: she thinks he is simply a sad doctor who can’t make up his mind about what’s good for him. Too many, Dr. House’s bitterness is caused by the pain in his leg, but even before surgery, he has been behaving like that. Whatever it is that eats him, it’s what gets us glued to the show.